Thinking of getting into hospitality? Maybe it is time to kill two birds at a time by doing it in the beautiful capital of Queensland which offers an outstanding vacancy in the hospitality industry. From Luxury hotels, pubs and bars, to hipster looking cafes, Brisbane hospitality range caters not only for customers but for job seekers. 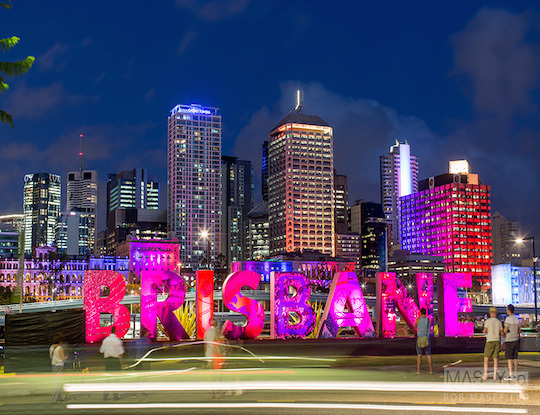 The fact that Brisbane is the major financial contributor to Queensland’s economy is not strange at all, for millions of tourists both domestic and international visit the city throughout the year. Hospitality does not only mean working at a restaurant or a cafe, but instead there are many jobs with different responsibilities and different customer interaction that might be more suitable for you. If you decide to work at a hotel, you will have the opportunity to work not only in food service, but you might want to get involved in events or room service, or if you are more ambitious, you could apply for management which involves much more responsibility. The fun part about working at hotels is the people you will encounter, the variety of cultures and the classy , fast paced work environment. Brisbane has some famous hotels known for their luxury and they excellent customer service like the Marriot, Meriton, Hilton, Sheraton, Next and Rydges. All of these with great locations and great views which you might be able to enjoy while working. If you are looking for a more relaxed environment, these may be the perfect working venue for you! Bar Tenders, kitchen staff and waiters may be the most needed staff in these venues. You will have a closer contact with customers and a cheerful personality might help you strive in this job. From Asian to high italian cuisine, Brisbane offers a lot of international and domestic restaurants, the best options will require a good presence and professional manners while the more casual restaurants and fast food stores will be happy to have you as long as you can sell their products and serve the customers. This is the place for you if you want to try out your creativity and go for a barista job. Cafes also need waiters but if admiring and creating flavours and designs of coffee is your thing, this will definitely be your cup of tea. Great environment for culture loving people, for this is the type of people you will mostly serve depending on your location. If you are a fan of Art and entertainment, try a cafe that is linked to a Museum, theatre or art gallery. If you get bored of your job very easily this is what you have been looking for. If you decide to work with an events company, you will always be working at different venues, events and occasions like weddings, partys, business launches, etc. which apart from having the fun of working with the same staff in different situations, you will gain more experience than you can imagine. It is a very fast paced environment and the customer contact is not as personal as in other hospitality jobs, in this case we could say mass production or quantity and effectiveness is what they are looking for. Even though many hospitality jobs like waitressing might not require any previous qualification, as you escalate the different positions you will find that some training is recommended if not required. The following courses qualifications can be received through a short term course of very accessible price, these qualifications will only benefit you on your way to the top of the hospitality world. Even though training is important, it is the experience what will help you learn the most, that is the reason why most hospitality jobs require not the training but years of experience. So if you live in Brisbane or if you are from overseas or from another city, why not take the time to appreciate this beautiful touristic place to start building your hospitality career?